Though we’re still months away from the first game of the season, Buckeye punter and bottle-flip master extraordinaire Drue Chrisman has already experienced one win in The Shoe this year. 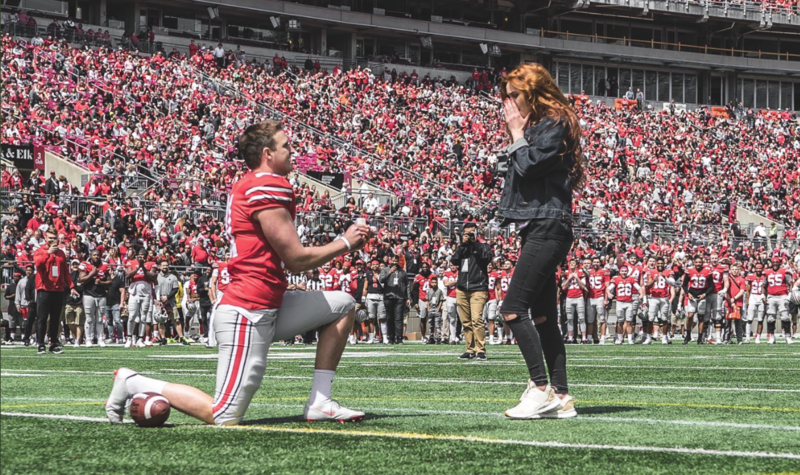 Dropping to one knee during halftime of the Spring Game over the weekend, Chrisman proposed to his girlfriend Avery Eliason in front of his teammates and a stadium full of cheering fans. Hey @averyanne3, what are you doing for the rest of your life?